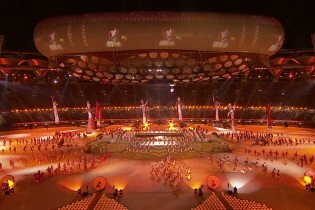 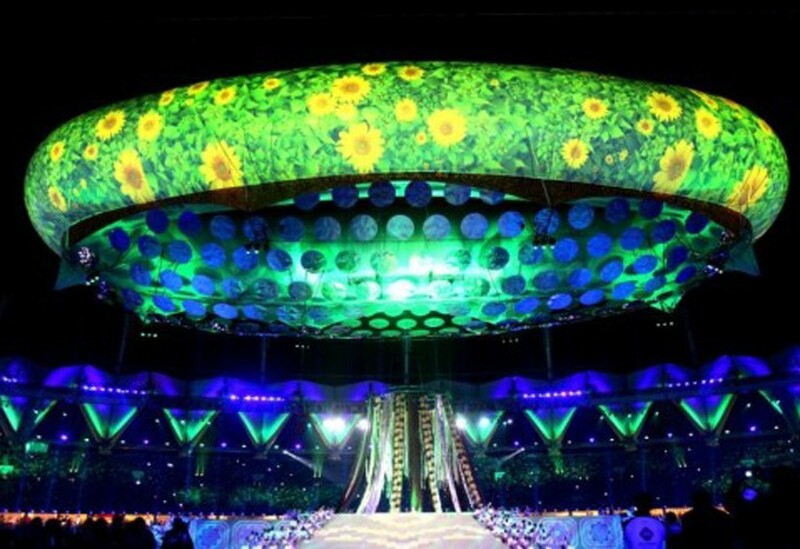 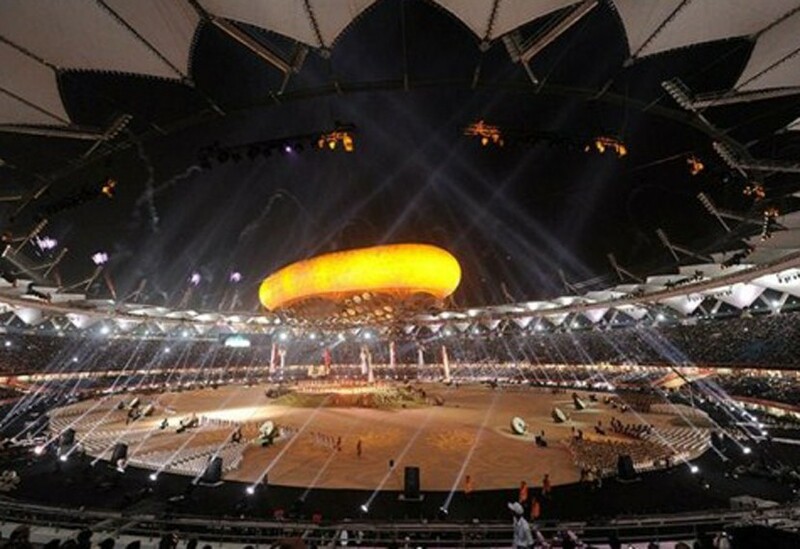 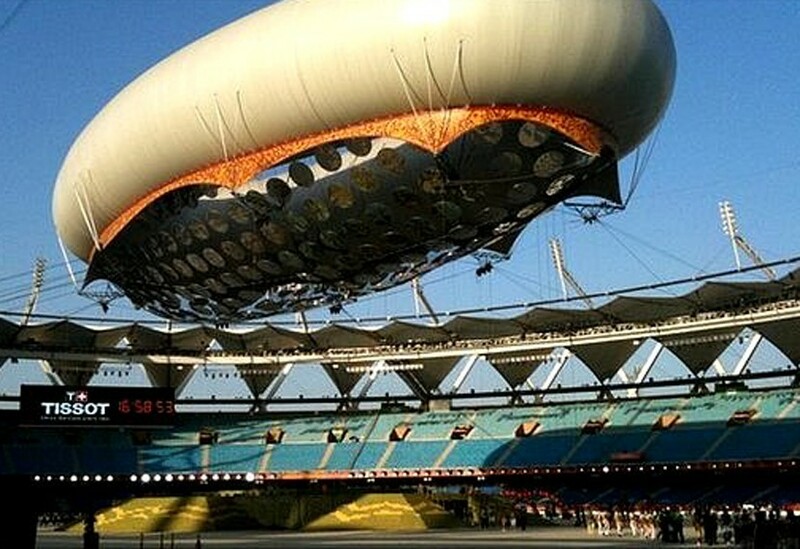 The awe-inspiring centrepiece of the Ceremonies in Delhi was the huge, tethered aerostat. 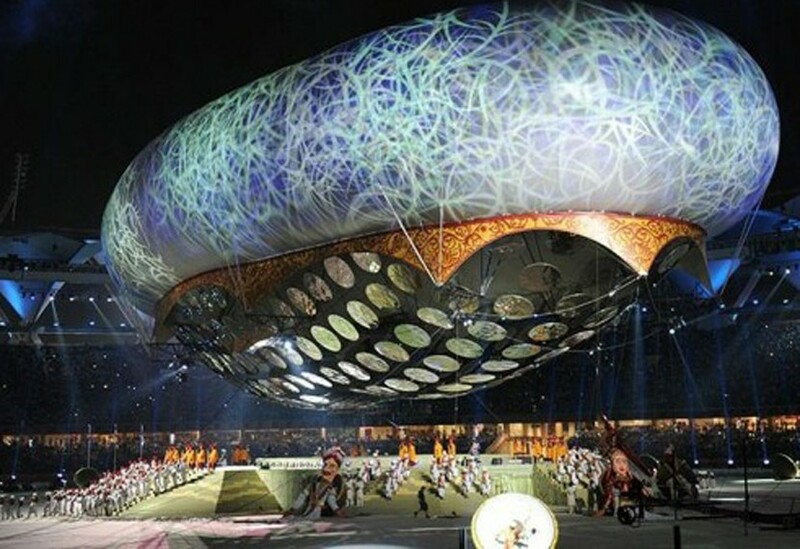 This helium-filled colossus measured 80m long by 40m wide and 12m high, rising to a height of 30m above the floor of the Nehru Stadium. 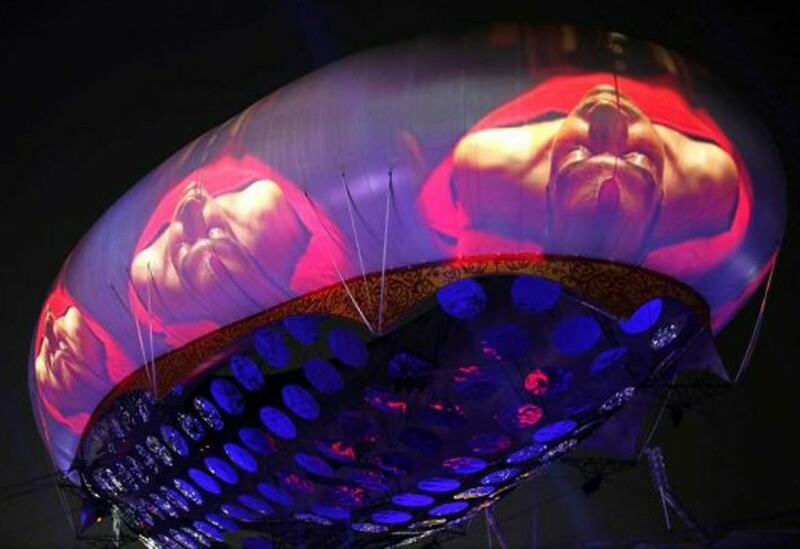 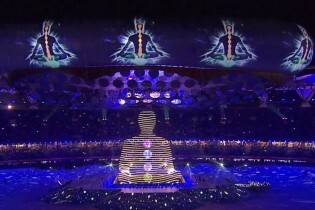 Our role was to provide an extremely strong anchoring mechanism along with rigging and positional control of this stunning feature which provided a 360 degree projection surface for a show depicting various aspects of Indian life and history.